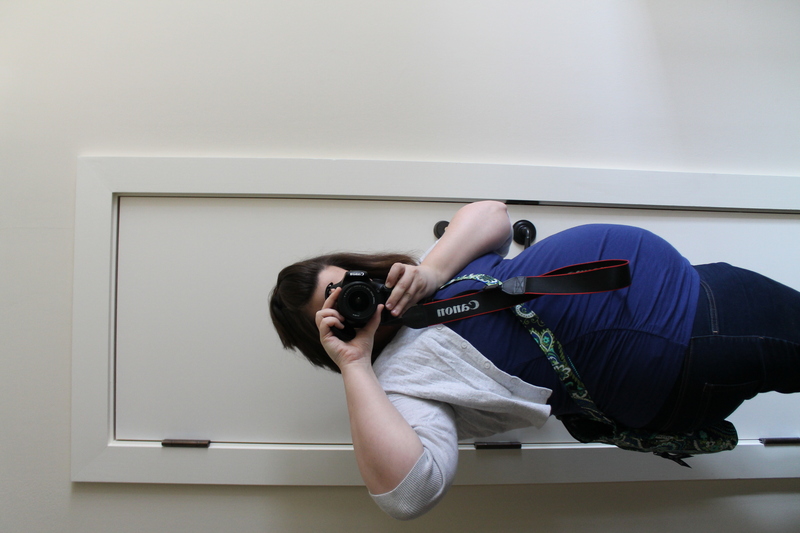 Currently: 27 Weeks Pregnant but here is a photo at 26 Weeks. Thinking about: The ever growing to do list that I need to get to work on and the piles of laundry that need to be washed. After 10 days of being away I am super behind on a lot of things and I just haven’t had a chance to catch up. I am hoping I might find a little time this weekend but we also have a busy weekend ahead of us! Feeling: I am feeling GOOD. I am 27 weeks pregnant today and I feel good. I am also feeling a little sickness coming on though which isn’t a surprise since both E and N are nursing mild colds right now. 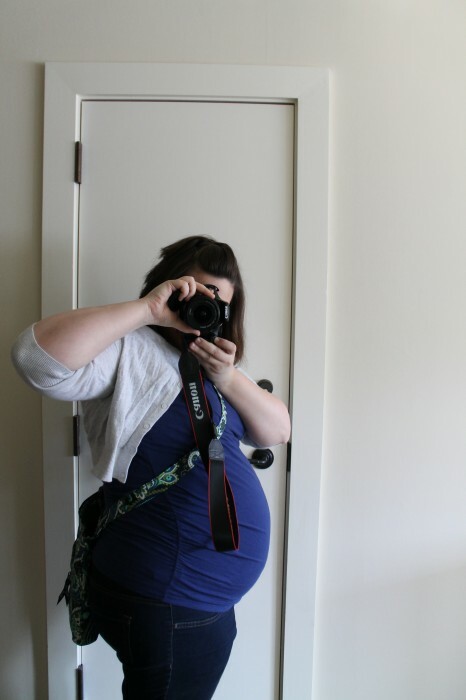 I am also feeling anxious because in 13+/- weeks we will be welcoming a new family member- HOLY CRAP. Watching: I have been The Following with Neil via Netflix and we started a weekly Friday night tradition to have a mini date night at home and catch up on The Black List. Also for guilty pleasure I just caught up on Switched at Birth via Netflix. Reading: I have actually been reading lately. I know shocking. I finished The Casual Vacancy while we were away and I am half way through Orange is The New Black (and no I have not watched the series yet). I would love suggestions for new books! Looking forward to: The PDX bloggers event this weekend where I hope to learn a few new photography tricks. I am also looking forward to Mother’s Day Weekend because we are heading to the coast for a Mother’s Day/Anniversary/Father’s Day night away at the beach thanks to a gift certificate Neil received from work at Christmas time. Making me happy: The beautiful weather. Hearing and watching E sing Rock-a-Bye Baby aka Rock Baby – seriously melts my heart. My amazing and supportive husband.